Ens. 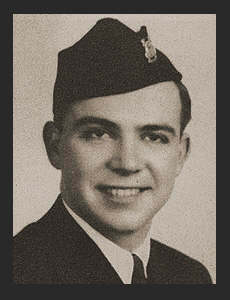 Donald (Buster) Blanton, son of Mr. and Mrs. Tom Blanton, graduated from Frederick High School. Entered the Merchant Marine in 1943, trained in Sheepshead Bay, N.Y.; Gaily Is; served in Australia, New Guinea, Leyte, Tokyo, the Carolinas, Luzon, and Guam.